*New Release* Addict ~ Lexi Blake ~ Release Blitz & Giveaway!! My heart ached because I could feel his loneliness. It was a part of our connection. I could sometimes feel what he was feeling like it was my own emotion. It had to be extremely strong to transfer to me. Marcus wanted a lover, not some random female body in his bed. He longed for it. He longed for me. This was why I couldn’t deny him a moment longer. I could feel his need. “That’s good, right?” I wished he would touch me. Everything would be all right if he would touch me. “You’re sure?” His eyes never left my body. He gazed on it, looking up and down as though memorizing the hills and planes. It made me feel beautiful. He pushed his desire my way, a warm wave that rolled over my skin. I realized how much restraint Marcus had shown. If he’d let this loose on me before, I would have given in easily. He’d waited until I was ready, and now feeling his desire was a gift. I’d spent my whole life feeling solitary even when surrounded by people. I couldn’t do that with Marcus. I didn’t see how he could possibly be more responsible for me than he already was. I lived in his home, slept in his bed, depended on him for my very sanity. His hands tightened on my shoulders, strengthening our connection. It hummed along my skin and reminded me of everything I stood to gain if I gave myself to this man. “I am not calling you master in public,” I vowed as my hands found his lean waist. Master was the traditional term for a vampire lover. 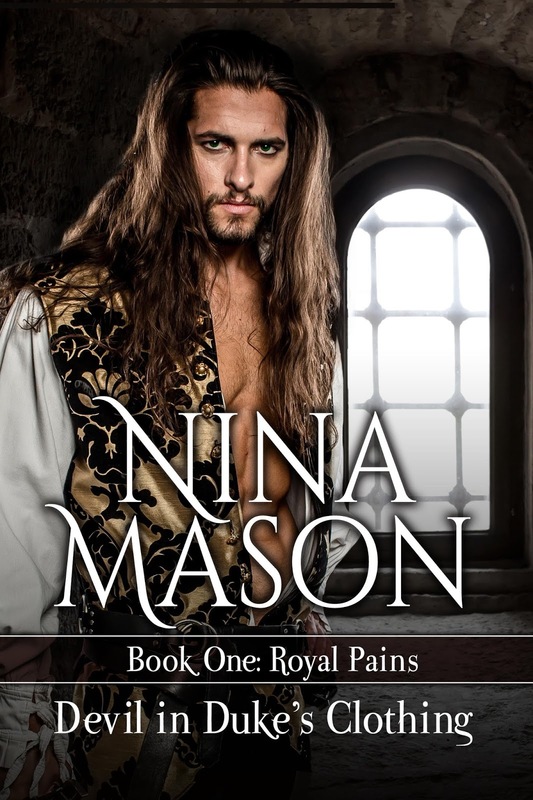 The year is now 1685 and Maggie’s father has just been crowned King of Great Britain, but that doesn’t mean trouble is over for the Duke and Duchess of Dunwoody. Rather than cool the flames of hatred between Papists and Protestants, the coronation of a Catholic monarch has only added accelerant to the already raging blaze. Two-faced devils lurk in every corner of the royal court, as do diseases with the power to kill and maim. When Robert falls prey to the smallpox virus, it looks as though Maggie will lose the two people most precious to her–her beloved husband and their only child–the son she bore three months before after five years of heartbreaking miscarriages and stillbirths. The one person in London who can help save her son demands a steep price in exchange her services. Will Maggie trade Robert’s hard-won fidelity to save her only child…or offer the apothecary an even more scandalous alternative?